In the years since the Arab Spring erupted across the Middle East and North Africa, Qatari news network Al Jazeera has successfully used the turmoil to position itself as an authoritative news source on Muslim world matters. It has thus become a primary conduit for the Qatari regime to disseminate Islamist Muslim Brotherhood messaging. 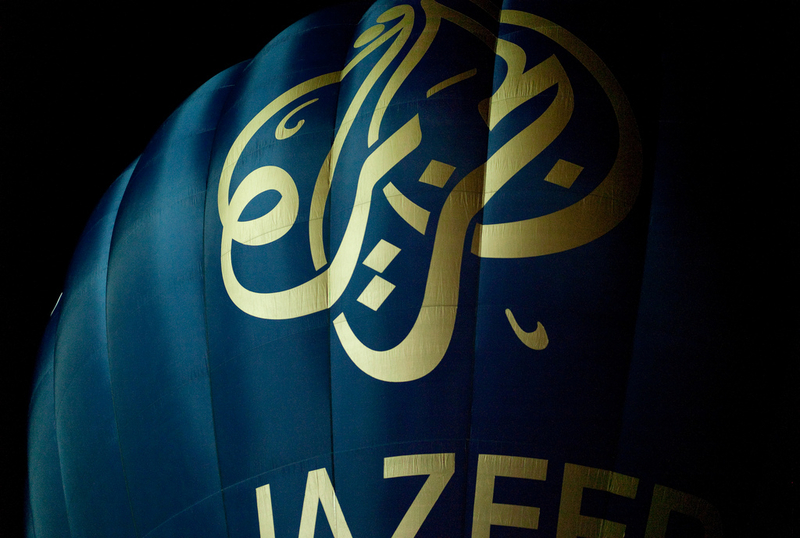 Spreading anti-Semitic and anti-Western propaganda across the globe, Al Jazeera uses its three separate branches: the original Arabic-language branch, the BBC-type English-language branch and the Millennials-focused online-only platform, AJ+. Al Jazeera's most vitriolic bombast concerning Jews and the United States is reserved for its Arabic-language content. One longstanding component of Al Jazeera's Arabic anti-Semitism and anti-Americanism is the broadcasts of Muslim Brotherhood spiritual leader Yusuf al Qaradawi. For more than 15 years, while living comfortably in Qatar, the Islamist cleric has spread some of the network's worst anti-Jewish rhetoric. In one Al Jazeera sermon, Qaradawi asserted: "Throughout history, Allah has imposed upon the [Jews] people who would punish them for their corruption. The last punishment was carried out by Hitler. By means of all the things he did to them, even though they exaggerated this issue, he managed to put them in their place. This was divine punishment for them. Allah willing, the next time will be at the hand of the believers." Other Al Jazeera broadcasts have featured interviews with prominent Islamist clerics from all over the Arab and Muslim world who incite violence against Jews and Americans. In 2006, an interview with Iraqi Shi'ite cleric Ayatollah Ahmad Al-Baghdadi was broadcast in Qatar, in which Al-Baghdadi insisted that "we will conquer the world, so that 'There is no God but Allah, and Muhammad is the Prophet of Allah' will be triumphant over the domes of Moscow, Washington, and Paris ... we will annihilate America." Al Jazeera's English-language broadcasts, directed towards Western audiences, are not as overt or virulent in their Brotherhood-inspired propaganda. Instead, as Qatar and Al Jazeera have long portrayed themselves as defenders of the Palestinian cause, much of Al Jazeera English's anti-Semitism and anti-Americanism is disguised as anti-Zionism or anti-imperialism—rhetoric carefully selected to chime with progressive activism in the West. For example, Al Jazeera English mostly avoids its Arabic counterpart's fascination with "Jewish power," preferring to discuss "Zionist influence" instead. One recent Al Jazeera English article argues that "every American administration over the past three or four decades was subject to major Zionist influence." Such wordplay is a thin smokescreen for socially acceptable anti-Semitism, in which motifs about secretive Jewish control continue to appear but are passed off as—in Al Jazeera columnist Avi Shlaim's words—"legitimate criticism of Israeli policies." Case in point: In early 2017, Al Jazeera released a four-part documentary film series called "The Lobby," a name that harkens to the widely discredited and anti-Semitic text by professors Stephen Walt and John Mearsheimer (The Israel Lobby), in which the authors recycle the Jewish-power conspiracy. Al Jazeera's documentary, centered on Jewish influence on British politics, does the same; a second version of the series (filmed in and focused on the United States) so harped on the Jewish power idea that its episodes were republished on the neo-Nazi Daily Stormer site. AJ+, on the other hand, takes the most care of all Al Jazeera sectors to spread anti-Americanism and anti-Semitism with an "anti-racist" slant; one AJ+ video in this vein is called "Why White Feminism Is Racist." In the clip, a pink-haired journalist named Zab Mustefa claims that white feminism's racism is exemplified by outspoken feminist and -Israeli actress Gal Gadot. Mustefa contends that Gadot's feminism—and indeed, Gadot herself—is racist because she "supports the Israeli army, which oppresses Palestinian women on a daily basis." Mustefa does not elaborate on how the Israel Defense Forces oppresses Palestinians, or on how Gadot's support of her own nation's army indicates racism. Instead, the clip then launches into an interview with Women's March coordinator Tamika Mallory, whose association with the notoriously bigoted Nation of Islam leader Louis Farrakhan has recently made headlines. As a mouthpiece for Qatari Islamist ideals, Al Jazeera's strength lies it in the adaptability of its sensationalism; each branch displays a unique approach to distorting news, disseminating propaganda, and boosting anti-Semitic and anti-American feeling. While Al Jazeera Arabic appeals to the Islamist hard-right in the Muslim world, Al Jazeera English encourages reasonable center-left viewers in the West to adopt anti-Semitic and anti-American ideas. Meanwhile, AJ+ focuses firmly on giving momentum to anti-Jewish, anti-American extremism within the growing, influential, far-left movement in the United States. Despite its many demonstrable distortions, Al Jazeera has succeeded in branding itself as a hard-hitting example of, in Hilary Clinton's infamous words, "real news." It is crucial that this facade be exposed, and that the network—and its Qatari benefactors—is held accountable for the Islamist bigotries it promotes. Samantha Rose Mandeles is the coordinator of Islamist Watch, a project of the Middle East Forum. Follow her on Twitter at @SRMandeles.